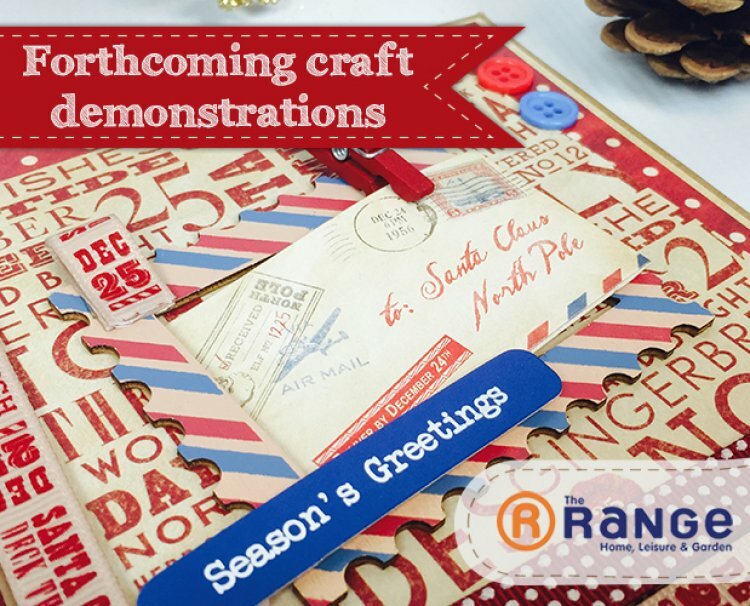 Pop into your nearby The Range store on the selected dates and say hello to our helpful demonstrators showing the latest Trimcraft Christmas collections including Dovecraft Back to Basics, Glad Tidings and North Pole. What a list! We hope to see you at one of our demonstrations! The ladies will be on hand to inspire you with a number of projects and will answer any crafty questions you may have. Visit our demonstration forum area for update from our demonstrators.